I think holding all your assets in cash is very dangerous. I want to be diversified; I hold some cash, bonds, equities, some real estate, and some precious metals. The moment you diversify, your returns are suboptimal, but it’s likely to preserve your capital. 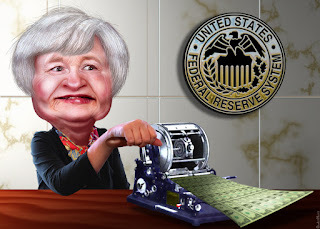 I don’t have control over the manipulation of central banks. Haruhiko Kuroda of the Bank of Japan expressed the view that there is no limit to monetary inflation. That they can keep on buying assets and they can keep on buying equities and real estate. They could essentially monetize everything, and then you have state ownership. And through the central banking system, you introduce socialism and communism, which is state ownership of production and consumption. You would have that, yes, that they can do. Today, Britain is completely irrelevant for the world economy. It contributes less than 4% of the global GDP and is a very small manufacturer. What is relevant for the world are growth rates in China and India. We don't have any growth in Europe and Japan. If we were to measure the GDP correctly in the US, there would be no growth. And we are talking about a demographically attractive population.